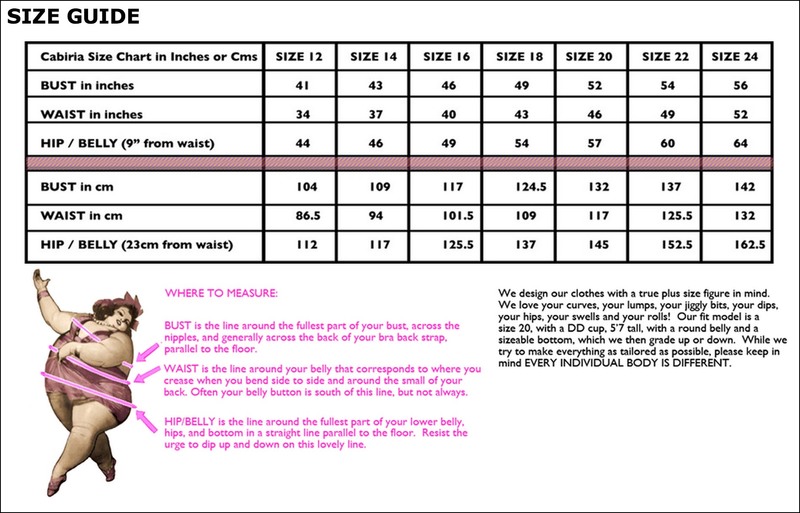 If you have any questions about what size might be best for you, please refer to our American and European SIZE GUIDE chart. We design our clothes with a true plus size figure in mind. We love your curves, your lumps, your jiggly bits, your dips, your hips, your swells and your rolls! Our fit model is a size 20, with a DD cup, 5'7 tall, with a round belly and a sizable bottom, which we then grade up or down. While we try to make everything as tailored as possible, please keep in mind EVERY INDIVIDUAL BODY IS DIFFERENT.